The next time you are returning from a holiday abroad and your fl ight has landed smoothly, know that it is the collective effort by unseen heroes at the Civil Aviation Authority of Singapore (CAAS) that all is well within Singapore’s flight space. CAAS wears many hats to ensure a safe and speedy flow of the flight movements in our flight information region (FIR), says Mr Chew Guang Wei (right), 38, the head of communications/navigation aids projects, infrastructure and network of the aeronautical telecommunications and engineering division. It helps support Singapore’s aviation sector through six areas of focus: growing Singapore as a global air hub, ensuring safe and efficient air traffic flows, upholding a safe aviation environment, developing the industry, contributing to international aviation, and contingency planning and crisis management. Mr Chew explains that his work in the communications and navigation aids projects section involves the replacement and implementation of state-of-the-art communications, navigation and meteorological systems at Changi and Seletar Airports. He also adds that his work in the infrastructure and network section involves the consolidation of all the network infrastructure requirements under one roof for better management and to explore new technology to enhance the existing network infrastructure. His sections are responsible for various crucial aspects of air traffic services to ensure safe and efficient air traffic services. The aeronautical telecommunications and engineering (ATE) division is the technological arm of the air navigation services (ANS) group in CAAS. Its duties include overseeing projects and the maintenance of equipment vital to the provision of air traffic services. Projection by the International Civil Aviation Organization (ICAO) shows that air traffic in the Asia Pacific region will triple by 2030. 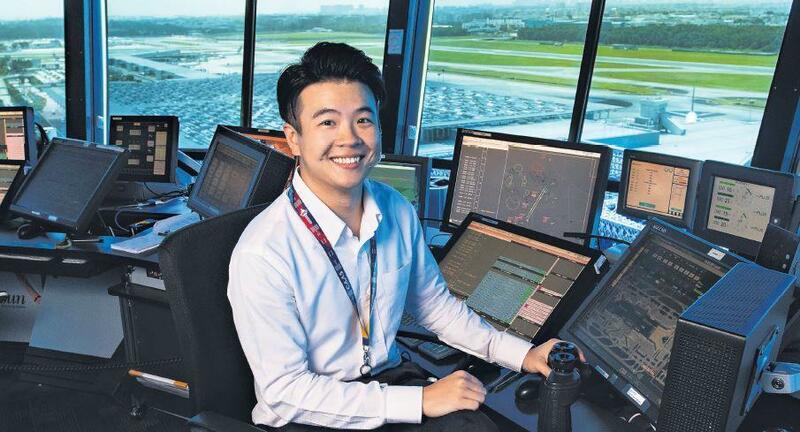 With that influx of air traffic, Mr Chew’s team plays a crucial role to enable new solutions and technologies to help CAAS handle a greater capacity of flight movements in the coming years. Given the interconnectedness of the air navigation services with neighbouring airspaces, the success of CAAS as a top ANSP also involved cooperation with those countries. Mr Chew has worked on several projects such as space-based very high-frequency communications system. Mr Chew adds that the field is trending towards a high-dependency on original equipment manufacturer to develop systems that are able to suit the needs of its air traffic controllers. As these modifications usually come at a high cost, the aeronautical telecommunications and engineering division aims to bring about changes to have the capabilities of developing parts of the systems. Mr Chew hopes to drive his sections to support his division’s aim. 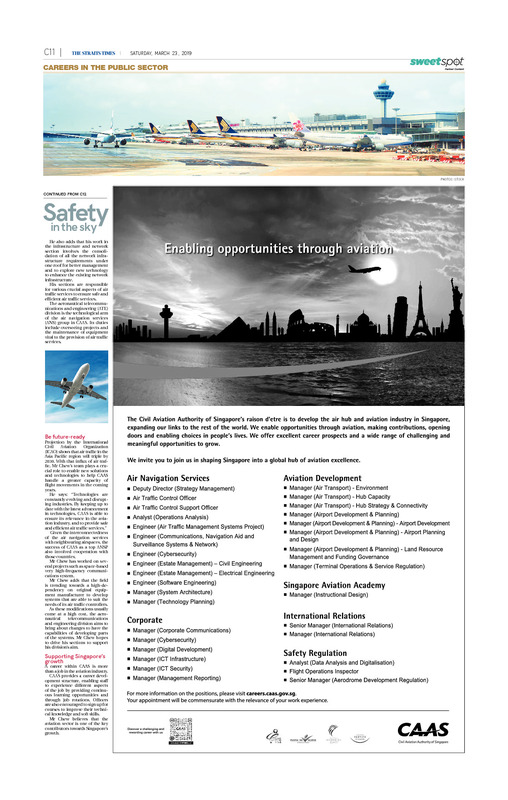 A career within CAAS is more than a job in the aviation industry. CAAS provides a career development structure, enabling staff to experience different aspects of the job by providing continuous learning opportunities and through job rotations. Officers are also encouraged to sign up for courses to improve their technical knowledge and soft skills. Mr Chew believes that the aviation sector is one of the key contributors towards Singapore’s growth.